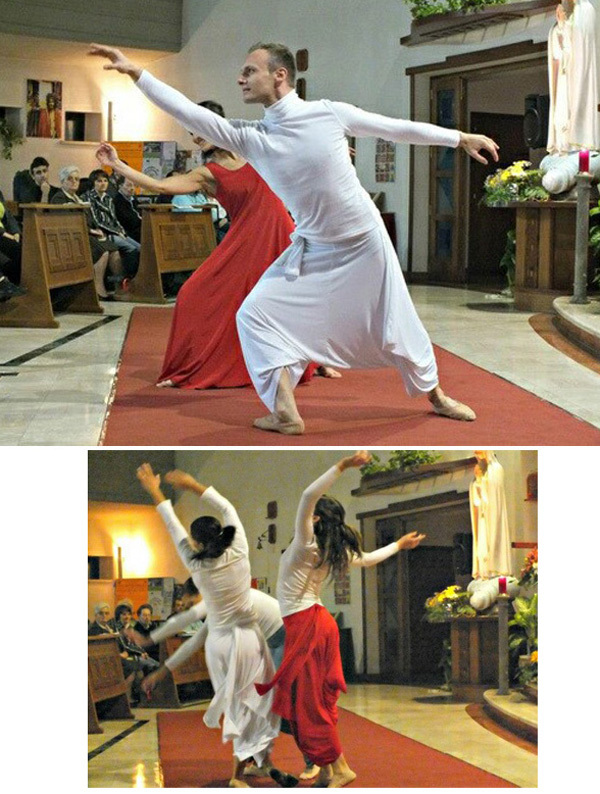 After the strong support of the Catholic Hierarchy and a short period of suspension ordered by the Vatican in 2011, the Holy Dance company of Sister Anna Nobili is back in full activity dancing all over Catholic churches in Rome and elsewhere. 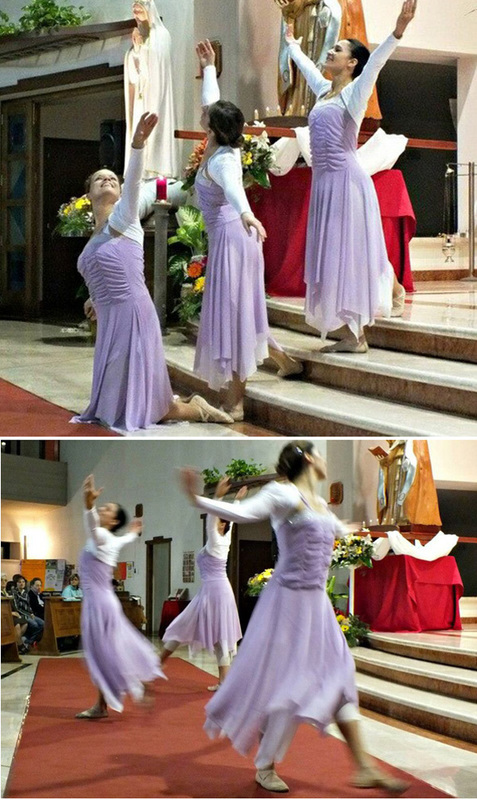 We can find proof in the photos on this page, taken from a performance at San Bruno Parish, in the Colleferro neighborhood of Rome, on October 13, 2012. The presentation supposedly expresses the "life of Mary," inspired by both the Gospel and the poetry of Rainer Rilke. The performers are Sister Anna Nobili- a former lap dancer turned sister - and members of the Agape dance company. Notwithstanding the holiness of the topic, what we can observe is a series of obscene postures performed in front of the altar, in the presence of the faithful. Above, we see a woman pictured with raised open legs creeping along the floor toward a man in a similar position; in the first row below, the same woman now sits between the legs of the man, embracing one of them, her head quite close to his private parts, her hand resting on his buttock. In the second row, the woman leaps into the air and freezes as the man holds her in this position, his hands touching her upper left leg and the lower part of her belly. In the third row, a smiling Sister Nobili is seated atop the altar, her face cheek to cheek with the supposedly dead Jesus, who lies on her lap. Fourth row, what purports to be a resurrected Christ, his blue pants exchanged for a white skirt, dances with Nobili and other women (fifth row). In the last two rows we see three women dressed in lilac (perhaps representing angels) coming down the presbytery and joyfully twirling before the faithful. Here we see another example of the sacred places of the Conciliar Church being transformed into stages for obscene representations of the Holy Mysteries of the Catholic Faith. Is this not a way to officialize blasphemies? 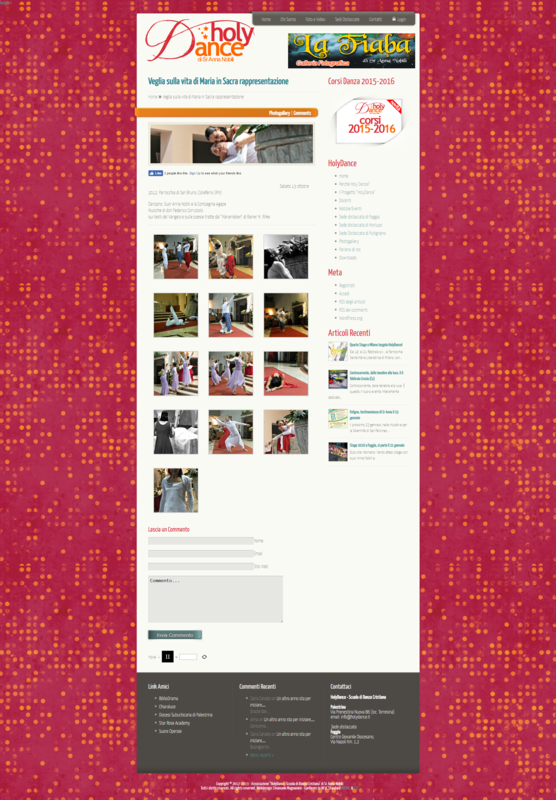 Aztec Dances at St. Vibiana Chapel, L.A.